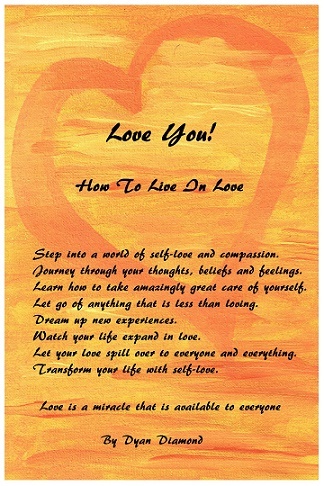 Please check out this amazing read on self-love by Dyan Diamond. Self-love can be a game changer. When we love ourselves, we can more easily love others. And self-love is something that is always available to help us. Self-love is so important when it comes to living our dreams. Dyan is currently developing an online class on self-love based on the book. Watch for it soon!